Okay, wedding season is coming. 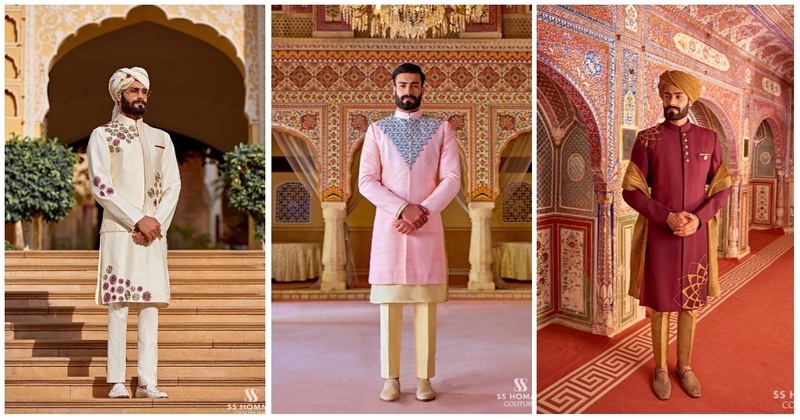 And while brides may have started looking for their wedding lehengas last year itself, it’s not always the case for our grooms. But guess what, a lucky scroll through our insta feed helped us find the perfect menswear brand to flaunt at your big fat Indian wedding! SS HOMME is a menswear brand that tries to commemorate the craft of traditional tailoring through the high-end, bespoke process while providing you with a unique and unequaled service. Each suit is hand cut and then sewn together with tailored perfection and high quality standards, while focusing on your natural fit. When it comes to ethnic or traditional wear, SS HOMME Couture maintains their European aesthetic, fusing it with Indian heritage. Each garment is crafted to perfection through a contemporary lens, with the utmost importance to detail and finesse.